Christine Engert recently sold this spacious colonial home in Eastman! Christine offers professional and local knowledge to home buyers and sellers in Eastman and the surrounding Dartmouth-Lake Sunapee Region. Before she became a REALTOR®, she personally experienced being on the home buying and selling side multiple times, including building and renovating. She understands the stresses, challenges and joys of the process on both sides. 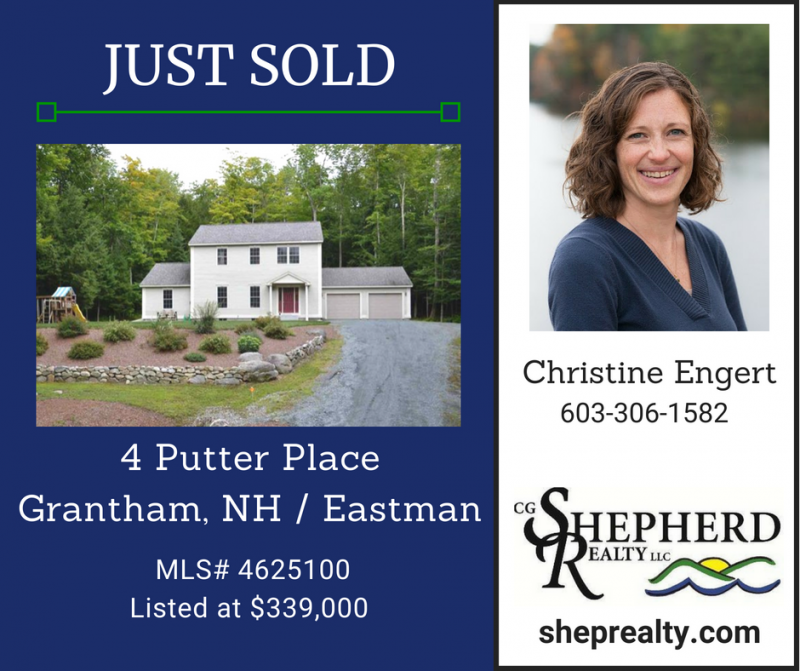 If you're looking to buy or sell a home in Eastman, call Christine Engert at 603-306-1582 or email christine@sheprealty.com. Find out more about Christine Engert and what her clients say about her.